"There are so many children and adults who don't have the ability to buy a jacket warm enough for the winters here in Wisconsin," says Dr. Sara Mahalko-Leonhardt. "We love holding our annual Coat Drive to help those in need." AlignLife of Wauwatosa is excited to hold its annual Coat Drive throughout the month of September. 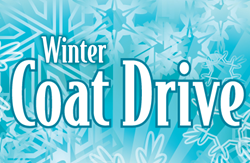 This is AlignLife's third annual Coat Drive. Each year the number of coats AlignLife collects increases. Dr. Mahalko-Leonhardt is excited about their new goal for the 2015 Coat Drive. "We have a goal of collecting over 50 coats this year. We will be donating all of the coats to a local organization." For those who are interested in donating gently used or new adult and/or children's coats, you are welcome to drop off your coats to AlignLife. Their office is located at 8812 W. North Ave., Wauwatosa. Any person who wants to schedule an appointment to become a new patient at AlignLife can donate two gently used or new coats and in return they will receive their initial consultation and examination for free during the month of September. Dr. Mahalko-Leonhardt sees patients of all ages, from the newborn to the elderly. Being certified in pediatrics, Dr. Mahalko-Leonhardt loves the opportunity to check patients of all ages. For more information or to schedule an appointment, please call (414) 774 - 2300.